Being a bicycle rickshaw, cyclo is the cheapest and the most environmentally friendly means of transport in Vietnam. Although it is steadily dying out, you can still find it in the big cities of Vietnam. 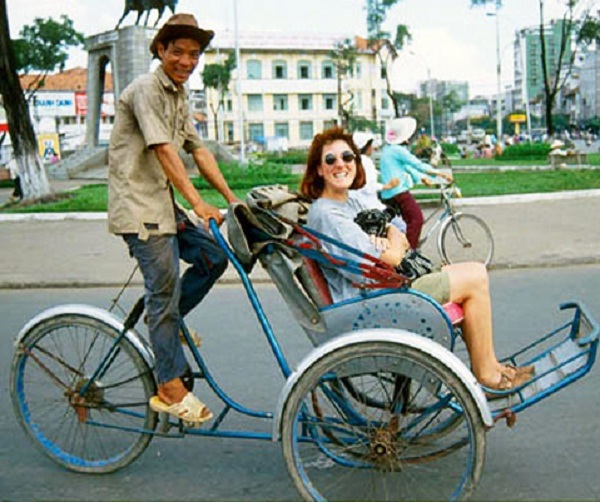 Near major hotel and markets, you can easily find cyclo drivers hang out and wait for travelers, and it is advisable to speak at least broken English to ensure that the driver can understand what your destinations are. Vietnam is one of the few countries in the world where you can see motorbike used so widely. Riding motorbike is fun, but you must take into consideration that the rules on the road are not always followed by local people. Legally, if you want to ride a motorbike, you must have a driver license. However, tourists are hardly stopped by police for license check. You can also sit on the back of someone else to gain an experience that most tourists should try if you are not brave enough to ride one yourself. It is compulsory for all motor-users to wear a helmet since late 2007. 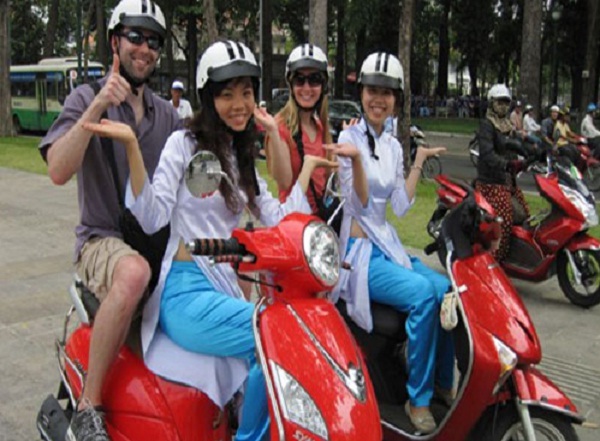 You will be provided with a helmet by any qualified motor taxi driver. To travel from one place to another within the city, “xe-om” or motor-taxi is a cheap way. Before putting the helmet on, do not forget to reach an agreement on the price. For brave tourists, a challenging motorbike adventure to these magnificent mountainous areas of Vietnam must be a unique way to experience this beautiful country. Being pretty cheap at the international standards and one of the safest ways to travel around at night, taxis with meters can be found in most major cities in Vietnam. From 10,000VND to 15,000VND per kilometer are common average tariffs. 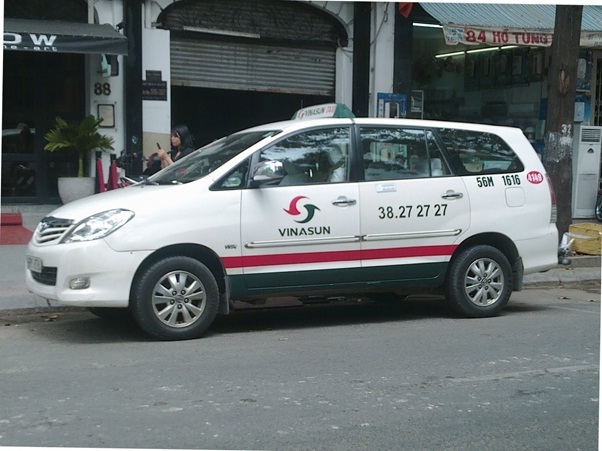 However, you should be aware of the dodgy taxis with go-fast meters doing roam the streets of Hanoi and Ho Chi Minh City, who often hang near the bus terminals. Remember to travel with responsible or highly recommended companies. 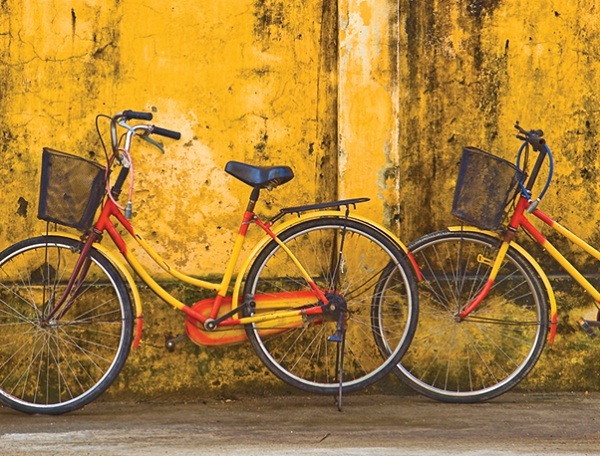 Hiring a bicycle and riding around the city in the very early morning is the best way to perfectly feel the atmosphere of peaceful Vietnam daily life. If doing so in Hanoi, you can watch the busy early morning markets, tranquil parks in the morning with simple exercises of both young and old people and Hanoi streets not overloaded with vehicles.